OASE 91 Building Atmosphere is about atmosphere as the core theme of architecture and is guest edited by renowned Swiss architect Peter Zumthor and Finnish architect Juhani Pallasmaa. They have identified atmosphere as the core theme of architecture, each in his own way. Gernot Böhme investigates the meaning of the notion of atmosphere in the work of theoretician Pallasmaa and practicing architect Zumthor. 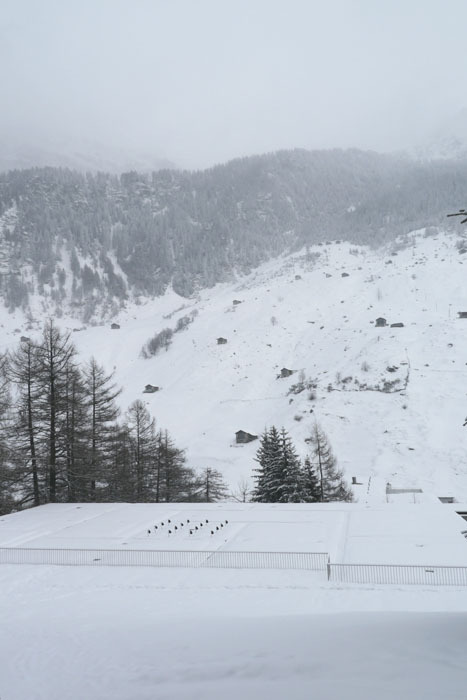 However, both use the term 'atmosphere' occasionally, or rather in Zumthor's case relatively frequently, and one can certainly not say 'coincidentally' as these occasional uses are definitely significant. For example, in the book Atmosphären, when discussing the photo of Broad Street Station in Richmond, Zumthor mentions it to describe a decisive impression that played a strong role in his biography as an artist. In Thinking Architecture (1998) he mentions his aunt's kitchen and ends the account with the sentence: 'The atmosphere of this room is insoluble linked with my idea of a kitchen. '4 And Pallasmaa makes use of the expression atmosphere to describe what holds Alvar Aalto's 'episodic architecture' together, that is an architecture that proceeds not from an overall concept but from the details and individual scenes: 'The whole is held together by the constancy of an emotional atmosphere, an architectural key, as it were. '5 Both men use the term to designate an overall emotional impression that a building, a scene or even an image makes. Add to these two points, the rejection of modernism and planning from the perspective of the user, a third, namely the high esteem they have for craftsmanship. Included in this category are the craftsmen who are involved in manufacturing buildings, which under the given production conditions is of course only possible with very special projects. What is far more important is craftsmanship on the part of the architect himself. This means that both men uphold classical hand drawing and studying designs using real models, in other words are sceptical of design work solely at the computer screen. This no doubt has to do with the fact that both have rustic origins, but in the case of Pallasmaa, who follows Heidegger here, is put on a pedestal as the foundations of creative activity.8 For both, this means that architecture must be taught classically in a master-pupil relationship. What concepts have the two used hitherto, without the notion of atmosphere, to articulate their shared interest? It is easier to say for Pallasmaa, probably because he is a theorist, while Zumthor as the practical man sets less store by coining terms and therefore tends to favour descriptions or even paraphrase. The main term Pallasmaa used was that of embodied image. This concept is clearly influenced by Merleau-Ponty, who only wanted to retain the concept of the ego or individual to the extent that the individual was then construed in corporeal terms.9 As regards Pallasmaa, who rejects the primacy of the visual in architecture, it is noteworthy that he nevertheless upholds the notion of image. What he has in mind are real, embedded images. Thus, for example, in architecture a door cannot simply continuing being a formal element, but must be considered a passage, an element in the course of life. Put differently, not only need dynamic aspects be taken into account (Pallasmaa is of the opinion that architecture is more a verb than a noun), but also the other senses, and he therefore accords absolute priority to the tactile. He suggests that tactility is the primary sense and all the other senses are derived from it. And since, true to the post-Cartesian tradition, he views tactility as a surface sense, skin as the sensory organ, facial sense also needs to be grasped as a special form of tactility, and hence the title of his book is The Eyes of the Skin. 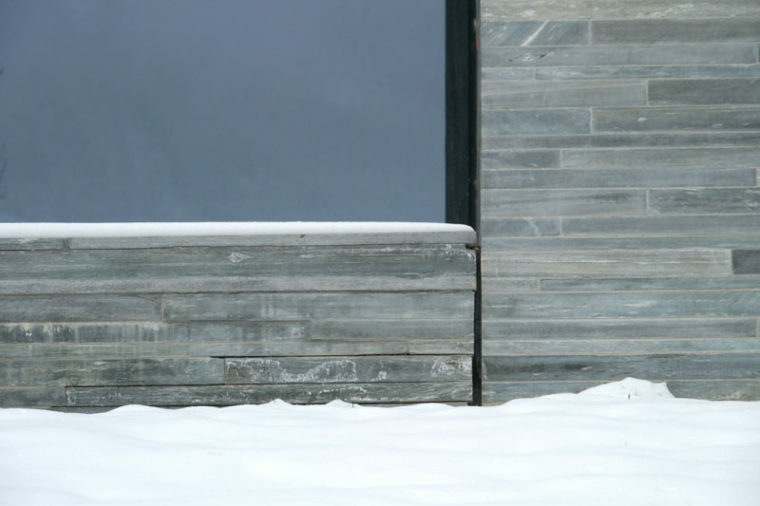 If one were to identify a corresponding core idea in Zumthor's approach, then it would be the primacy of the material. That said, the extraordinary weight that Zumthor accords the material relates to the real materials used in building and therefore not to what I have termed the gleam of material, the appearance of surfaces: Zumthor rejects rendering, sheaths or camouflage on his walls.10 This basic tenet of his building designs, and we could term it taking the materials seriously, brings additional more or less rigid standards into play, such as factoring into the design the building's acoustic qualities (and not just of music halls), or embedding the buildings into their surroundings and the landscape as regards the materials used. 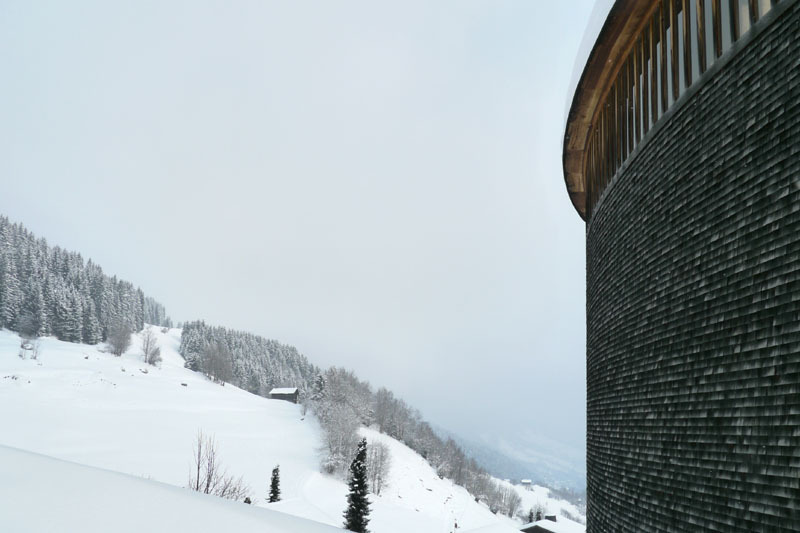 Moreover, Zumthor aspires to make edifices that interact with the way the weather and light change depending on the season. Finally, in the oeuvre of both men there is a manifest interest in the emotional effect of architectural works. And this element may indeed be decisive for the fact that their shared interest ultimately converges in the concept of atmosphere. For neither the introduction of emotionality derives from the expansion of the visual to include the other classical four senses, nor does taking the materials seriously directly reveal why it is emotions that are involved. Yet this is the case with atmospheres, as atmospheres are, in the simplest definition, tempered spaces. So all that would remain is to show how the concept of atmosphere informs both architects' thoughts and intentions. What emerges is that they have both only gone halfway, as it were, and have not fully exhausted the potential that the concept of atmosphere has for architecture. To take Pallasmaa first. I have already pointed out that Pallasmaa, by according tactility the role of being the sense at the root of all senses, essentially falls prey to a Cartesian reduction. For originally, starting with Aristotle, the haptic sense was by no means a surface sense and its organ was also not the skin, but the flesh or in the final instance even the heart. This view will seem obvious to modern man if we remember that to this day we still assign the sense of warmth to tactility. In terms of recent phenomenology as promulgated by Hermann Schmitz, we should now say that it is not one of the five senses that is the underlying sense, but corporeal feeling.11 Corporeal feeling allows me not only to feel something, but also to feel how I feel, my sensitive state. Atmospheres are by nature experienced by corporeal feeling, namely by their tendency to 'affect' me, to put me in a specific mood. This is precisely the point where one would arrive if one thought the concept of the embodied image through to its end. Incorporating views can also mean that we are affected by them, actually experience them in corporeal feelings. Likewise, taking material properties seriously, and we have stated that this is the core of Zumthor's outlook, implies corporeality. For how are materials actually experienced? Is there a specific sense for materiality? One could of course say that they are primarily experienced through touch, but also by their appearance, visually. Moreover, and Zumthor attaches great importance to this, they can be experienced by acoustic resonance and, if we are not talking about construction materials, then of course and perhaps even primarily by the oral senses. One could thus conclude that the nutritional sense is the real material sense. In the context of architecture it is, however, more appropriate to say that material is experienced synesthetically.12 Synesthetic qualities, such as coarse or cold, are so called because they are experienced using different sensory qualities that can mutually substitute for each other. For example, a room can seem cool because it is painted blue, or because it is completely tiled. It is again the corporeal feeling that drives synesthetic experience. Synesthetic qualities are perceived through the sensitive state they engender in my body. We see that Zumthor's notion of taking materials seriously also essentially rests on corporeal experience. Naturally, he is also interested in something like truth in architecture and no doubt again in craftsmanship, and ecological aspects, but the users perceive the materials through synesthetic experience, that is, in the final analysis in the affective impact of corporeal feeling. So we see that the emergence of the concept of atmosphere in the work of Pallasmaa and Zumthor has to do with the fact that they take man in his corporeality as the reference point of architecture. This new humanism may be reminiscent of Vitruvius, but the issue here is not that man as a body becomes the basic yardstick of built proportions. Rather, as a body man is, as it were, the sounding board for architectural quality. 'Quality in architecture is for me when a building manages to move me. '13 Put differently, my state of well-being tells me in what sort of a space I find myself. And what between both (namely corporeal state and the qualities of the space I am in) is acting as an intermediary – that is the atmosphere. The quality of a building or a built ensemble cannot be determined in the final analysis by the eye or the central vantage point in a photo. For the visual senses distances, while the quality of architecture can essentially only be judged by corporeal presence. This does not exhaust the potential the term atmosphere has. If atmospheres are tempered spaces, then both architects primarily refer to the first term defined, namely temper or emotion. However, the focus is also always on the second term, too, the space: atmospheres are spaces of a unique kind. So what sort of spaces are involved here? An architect thinks in terms of tradition and because he actually always concerns himself with shaping reality, namely the world of things, he thinks of geometric space. But geometric space is the space of representations, of drawings and models. The space essentially involved, at least if we take the term atmosphere seriously and gear the design seriously to the user's perspective is the space of corporeal presence. This space has a structure unlike that of geometric space. It is based not on measurements but on local relationships and skins and topological space; above all, it is not isotropic but includes direction, above and below, centring, narrowing and expansion. Indeed the architect must continue to work in the space of things and consider geometry. That said, what is the key is to create spaces of corporeal presence. The introduction of the term atmosphere leads to this redefinition of the art of architecture: architecture is the creation and design of spaces of corporeal presence. Reading Gernot Böhme's text one might get the impression that I am thinking of touch as the literal sense of touching, but in fact I am thinking of tactility in an existential sense, as an experience of one's being and sense of self. This is why the tactile, or haptic, experience becomes the integration of all the sense modalities, and that is why I regard it as the most important of our senses. It is this haptic sense of being in the world, and in a specific place and moment, the actuality of existence, that is the essence of atmosphere. I think his idea of the haptic is best described in German as leibliches Spüren. So in the end we agree on the matter. 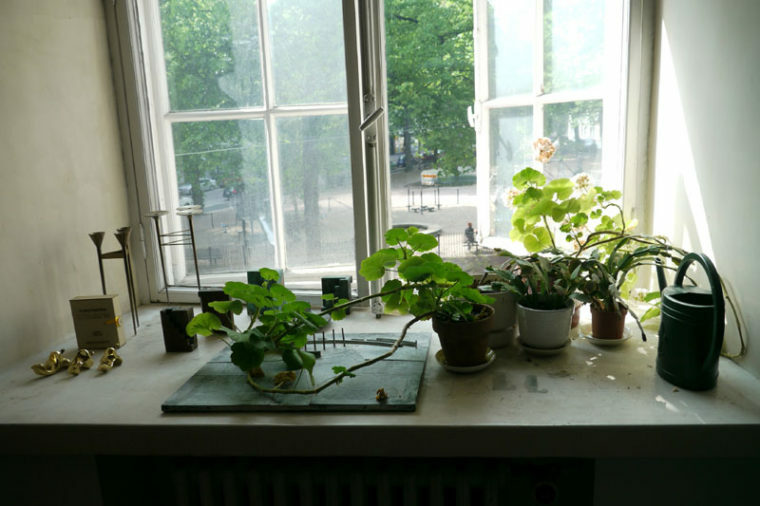 1 The contributions to the conference 'Atmospheres: Architecture and Urban Space', which took place in Copenhagen, will be edited by Christian Borch and published by Birkhäuser. 2 Both categories are book titles: The Eyes of the Skin: Architecture and the Senses (London: Academy Editions, 1996); The Embodied Image: Imagination and Image in Architecture (Chichester: John Wiley, 2011). 3 Peter Zumthor, Atmosphären (Basel: Birkhäuser, 2006). 4 Peter Zumthor, Thinking Architecture (Basel: Birkhäuser, 1998), 9. 5 Juhani Pallasmaa: 'Hapticity and Time. Notes on Fragile Architecture (2000),' in: Peter Mackeith (ed. ), Encounters. Architectural Essays (Helsinki: Rakennustieto Oy, 2005), 326. Pallasmaa describes this episodic approach to building by Aalto extensively in the book he edited: Alvar Aalto, Villa Mairea (Helsinki: Alvar Aalto & Mairea Foundation, 1998), 85 ff. 6 Gernot Böhme, 'Architektur: eine visuelle Kunst? ', in: Böhme, Atmosphäre: Essays zur neuen Ästhetik (Frankfurt am Main: Suhrkamp, 2013 [7th exp. ed. ]), 112-133; Published in English in: Ralf Beil and Sonja Feßel (eds. ), Andreas Gursky – Architektur (Ostfildern: Hatje Cantz, 2008), 24-31. 7 Needless to say, the same issue should be discussed as regards Zumthor's Kunsthaus in Bregenz, Austria, although it bears considering that this gallery was explicitly created for changing exhibitions and the interior design is therefore very restrained in architectural terms. 8 Juhani Pallasmaa, The Thinking Hand. Existential and Embodied Wisdom in Architecture (Chichester: John Wiley, 2009). 9 For instance Maurice Merleau-Ponty, Phenomenology of Perception (New York: Routledge, 2005) and Maurice Merleau-Ponty, The Visible and the Invisible (Evanston: Northwestern University Press, 1968). 10 G. Böhme, 'Der Glanz des Materials,' in: Atmosphäre, op. cit. (note 5), 49-65. See also 'Inszenierte Materialität', in: Daidalos, no. 56 (1995), 36-43. 11 Schmitz, Hermann. Neue Phänomenologie (Bonn: Bouvier 1980). 12 Gernot Böhme, 'Synästhesien', in: Böhme, Atmosphäre, op. cit. (note 5), 85-98. 13 Zumthor, Atmosphären, op. cit. (noot 3), 11.